The innovative BenchREMOTE is an advanced monitoring system that can be linked to up to three SmartROC surface drilling rigs. It is ideal for removing operators from the danger area - taking them away from the noise, dust and drilling in hazardous areas, thereby contributing to elevated safety levels. Since its inception three decades ago, Elf Drilling, has been a frontrunner in drilling, sampling and service for the Northern Cape mining industry. Operating as a complementary team, Faghmi Cader and Eduard and Lizelle Mostert are leading Elf Drilling into the new age of automation drilling. Consisting of a regional office in Kathu, a head office in Kimberley and a workshop in Kuruman and supported by a team of 145 employees, the company boasts extensive experience across South Africa, as well as in Namibia and Angola. Elf Drilling is also a manganese specialist and operates on two of the largest manganese mines in the Northern Cape. Featuring an Epiroc fleet of 25 machines, Elf Drilling procured its first FlexiROC D65 in 2012, and more recently received delivery of two SmartROC D65s, together with the BenchREMOTE in Q4 2018. From here on the relationship between the two companies grew steadily. When Mining & Rock Excavation Technique branched off from Atlas Copco to become Epiroc, the connection with Elf Drilling remained unaffected. “It was business as usual between Elf Drilling and the Epiroc team of Hedley Birnie, Kevin Govender and Cobus Engelbrecht,” affirms Mostert. The mining industry is safety-driven, and Elf Drilling has aligned itself to this focus by procuring the state-of-the-art BenchREMOTE. Following an incident in which a machine fell over due to operator error, fortunately not resulting in injuries but incurring costly machine damage, the company adopted an even more aggressive preventative approach by utilising the BenchREMOTE. 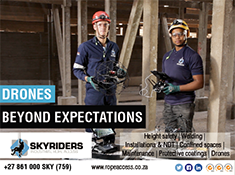 This technologically advanced machine comprises premium quality components such as SR and PTZ cameras that enable operators to conveniently monitor progress from the comfort of a FOPS/ROPS approved cabin, situated 100 m away within the line of sight. “This feature converts the SmartROC into a reliable, low-maintenance partner on the bench, and enables substantially improved operational and safety efficiencies,” notes Hedley Birnie, business line manager: surface & exploration drilling, Epiroc. The single BenchREMOTE’s capability to operate up to three SmartROC drill rigs enhances productivity for the lowest possible total cost of ownership. Further adding to its impressive features, the BenchREMOTE’s memory can store information on up to ten drill rigs, so that when required the machine can be moved from one block or area to another to control the rigs in each respective area. The BenchREMOTE will assist in the prevention of machine abuse, so training is of vital importance. Epiroc will provide Elf Drilling with a three-week training course on the BenchREMOTE system and all training is on-going as refresher courses are essential for customers to keep up with the latest technologies. Elf Drilling also utilises a web-based on-board reporting system from Epiroc called CERTIQ to monitor operator activities and productivity as well as machine health. This innovative monitoring system allows customer to remotely log in to view their fleet through a smart mobile device. Training and local community development are close to the heart of Elf Drilling. “We are passionate about the upliftment and growth of our community and that is why we predominantly employ local people,” says Cader. “The hiring of local talent means that the community is given job opportunities and employees do not incur exorbitant commuting costs. Training is also essential in order to ensure that the drilling machines are correctly operated and utilised to their full potential.” Cader notes, however, that the lack of training facilities such as schools, technical colleges and universities is forcing contractors to source operators from outside the Northern Cape. Recognising this shortfall, Elf Drilling plans to open a training facility within the next year that will benefit internal and external resources. The company has also invested in a FlexiROC simulator with plans to purchase a simulator for SmartROC. This lucrative investment will enable Elf Drilling to choose its very own well-trained operators from the cream of the crop to operate its Epiroc machines. The plan is to take an unskilled person with no tertiary education through the training process and then bring him or her into the company. Addressing the challenges around gaining next-level operator training due to red tape and high costs, Elf Drilling is collaborating with the Epiroc Academy which will provide crucial train-the-trainer courses. With its focus on drilling rather than on machine repair, Elf Drilling has opened a workshop in Kuruman – Kalaghadi Engineering Hydraulics (KEH). This move has empowered the company’s mechanics who receive regular training from Epiroc. Aftermarket service is crucial to sustaining machine health and performance. “It’s clear that Epiroc considers the after-market to be as important as the quality of its machines, and I have seen its after-market offering constantly improve,” says Cader. “That is the reason why Epiroc is the preferred mining partner for Elf Drilling as the performance of its machines is unmatched.” Elf Drilling receives quick and seamless financing from Epiroc Financial Services, Sweden, with fast delivery of machines. Wrapping up, Epiroc’s Birnie says that Elf Drilling has walked a long way on a short road and has one of the best maintained drilling fleets in the industry. “Team Faghmi, Eduard and Lizelle work as a well-oiled machine and lines of communication between the two companies are always open. 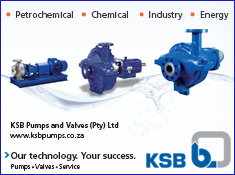 We consider our customers as our partners and stand by them as much as they stand by us. We will never hesitate to free up any resource to come to their assistance,” concludes Birnie. Elf Drilling’s purchase of the first Bench­REMOTE in South Africa as well as the two SmartROCs was commemorated on 17th January 2019 at a celebratory function at the Elf Drilling Service Hub in Kuruman, Northern Cape.